It's my favorite strings. Fluorocarbon was too bright. Nyltech did not have good intonation. Titanium is not as bright as some would say. Intonation is dead on. It's easy to restring, and it does not stretch too much. Highly recommended! And of course, SBM is THE BEST place to buy strings! You all were the only place I could find the strings I was looking for. Thank you! I'm using these strings with my Oscar schmidt tu4, producing the most balanced and charming tones. Just amazing. Q: Is there a low g in this set? 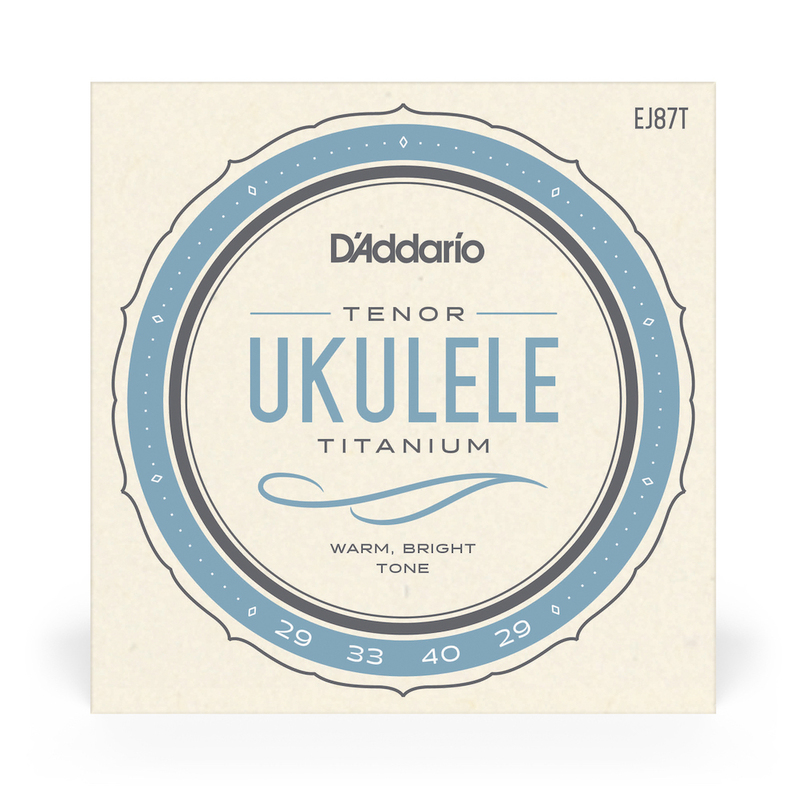 At this time D'Addario does not have a tenor low G set available in their Titanium line. Sorry about that.